Join Captains Dale Woodruff and Nick Lieterman for some fantastic, family and business friendly saltwater fishing along the Alabama Gulf Coast and in the Gulf of Mexico. Experience, patience and a servant's heart are what I have to offer you and your group for a memorable day of fishing. So welcome aboard and give me chance to be your captain. A passion for fishing and years of knowledge allow me the opportunity to give you an unforgettable charter trip. Don't miss the boat—let me serve your group! Welcome to Class Act Fishing! Don't let Class Act Charters be the one that got away! Make the most of charter fishing the waters off Orange Beach, Alabama with us. 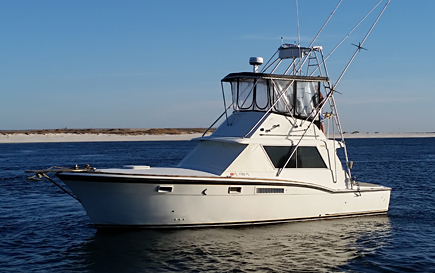 Let our knowledgeable captain and crew help you navigate the gulf and find where the fish are biting.You might hook a marlin, red snapper, amberjack or tuna. 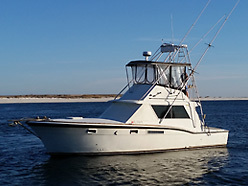 The experienced charter captains will take you off the coast of Gulf Shores, Orange Beach, Alabama and in the Gulf of Mexico.The best off shore deep sea fishing on the coast. We're a small family-owned business that makes customer satisfaction a top priority, so we’re driven to deliver an awesome experience filled with priceless memories for you and your group. 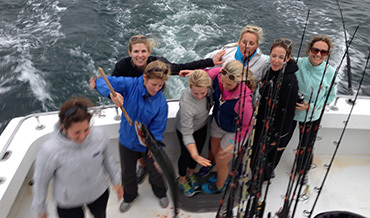 Group fishing with your family or friends you will make memories for a lifetime! Regardless of your group size or your budget, Class Act Charters can accommodate your needs. We offer two vessels that are spacious, clean, fully air-conditioned and loaded with all the amenities you need. Class Act, a multi-passenger boat, is ideal for groups of seven to 20, while Daddy’s Baby, can hold groups of up to six people. 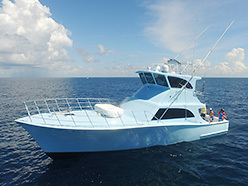 We can accommodate your next business deep sea fishing trip. 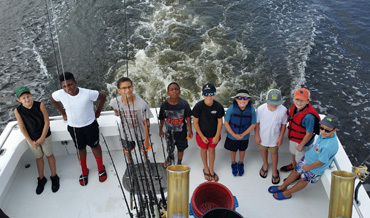 Whether you’re a beginner or an experienced angler, the captains and crew of both vessels employ their safety-first attitude and education of local waters to provide you with an incredible fish-catching adventure. 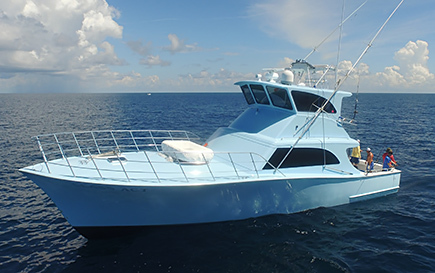 For an unforgettable charter fishing trip in Orange Beach, Alabama, book your excursion with Class Act Charters today! All you need to know for a fun day on the sea. No fishing license required. 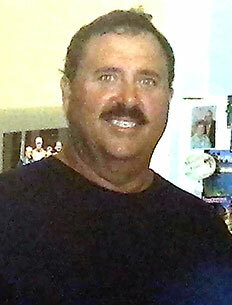 We provide all fishing equipment, bait, and friendly service. The Class Act is 52' in length and is the bigger of our two boats and has all the accommodations of home. Fully air conditioned cabin, Green Egg Grill on the back deck and satellite TV (local channels included). Daddy's Baby is 38' in length is the smaller boat but is very roomy and accommodating. The cabin also has A/C, radio and MP3 player. The Class Act is part of the great charter fleet at Zeke's Marina in Orange Beach, Alabama. 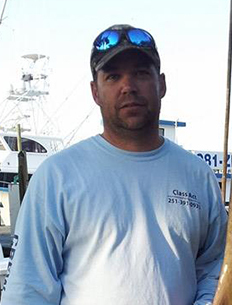 Zeke’s Marina has the Gulf Coast’s largest charter fishing fleet. Zeke’s Landing Marina is located across the street from some of the most beautiful beaches in the country and just 10 minutes by boat from the Gulf of Mexico.